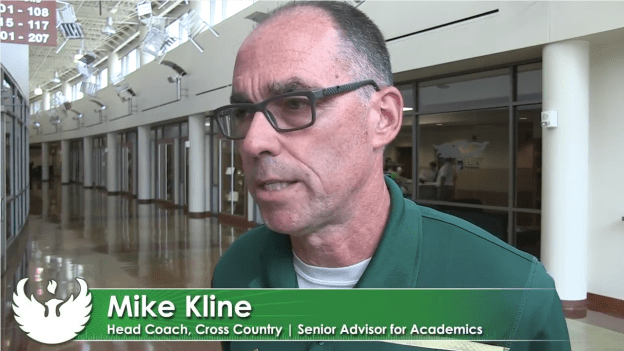 Cross country coach and academic coordinator for Green Bay Athletics Mike Kline says he has never worked a day in his life. “That’s because I have the best job in the world… When my alarm goes off at 4:26 every morning, I look forward to going to work, and when you look forward to going to work, life is pretty, pretty good.” Hear more from Kline — how he personally experienced the transforming power of a UW-Green Bay degree, and how it has shaped him to be a positive influence to those around him. Produced by the Office of Marketing and University Communication; Dan Moore, Videographer. This entry was posted in Phoenix Tales and tagged Athletics, Video on August 25, 2016 by Sue Bodilly.